After a heart-breaking defeat in the most difficult puzzle room in Breakout Challenge, we just decided to drown our sorrows with some good food. 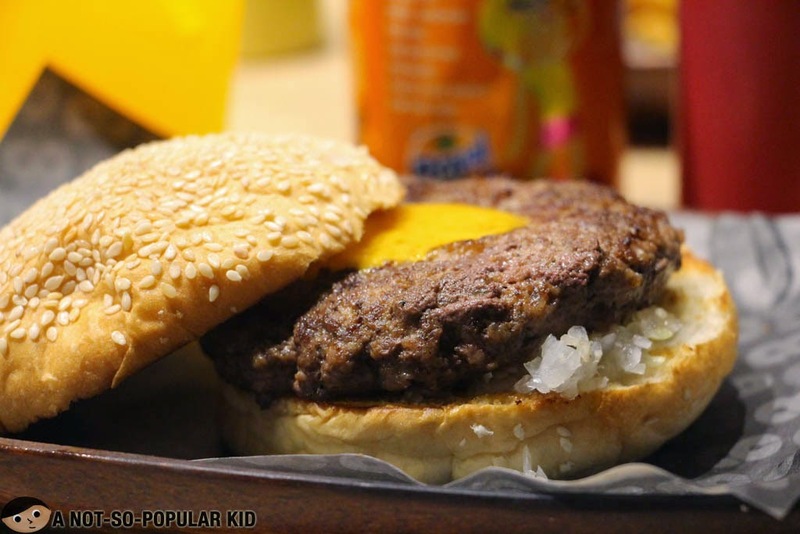 Pursuing the recommendation of my friend Alberto Del Rosario, we ended up in 8 cuts Burger Blends in SM Megamall. 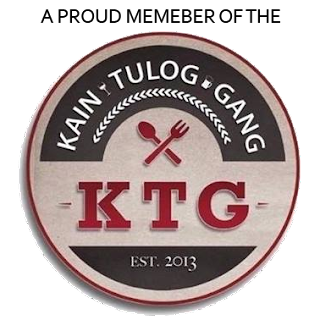 When I had my first glance on the restaurant from afar, I suddenly felt like something was familiar. 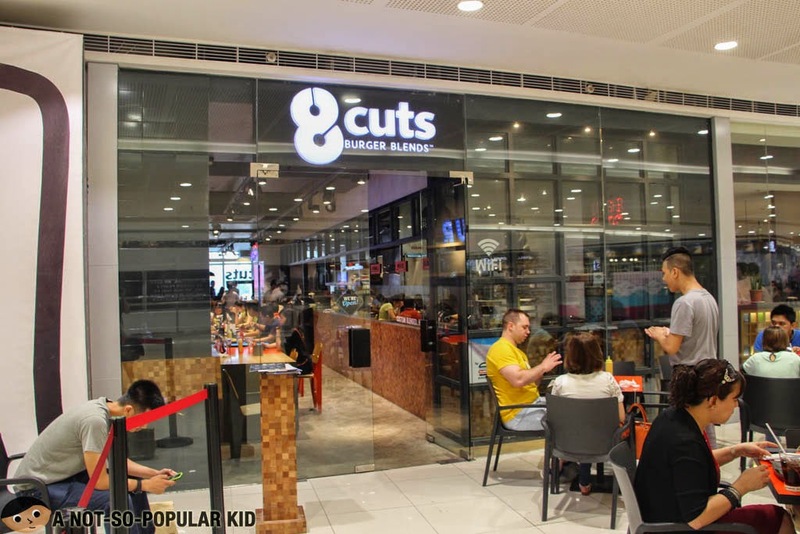 Upon reaching the burger place itself, I noticed a sign with the words: "by Burger Bar", which just explained why the interior of 8 Cuts looked very much familiar -- casual-looking with a dominance of gray in its color scheme. 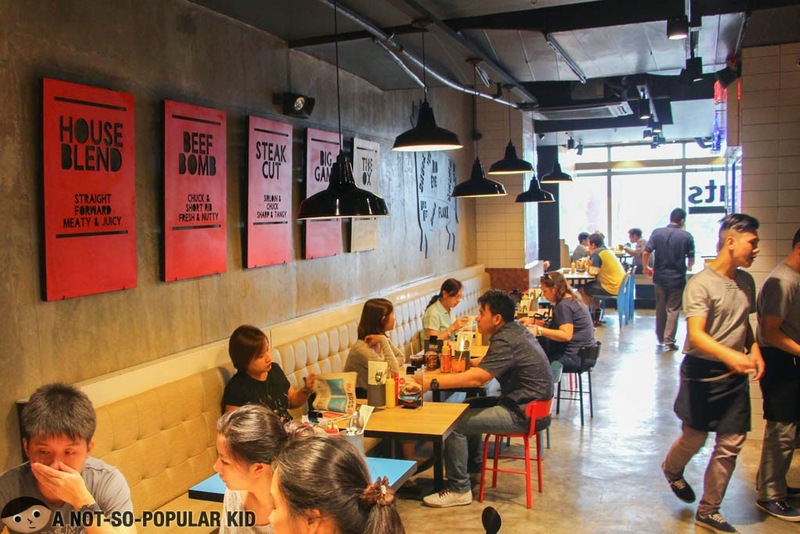 In other words, the interior (even the menu) was patterned from the Burger Bar in Greenbelt 2, the parent. Alright, I wouldn't blabber much, so let me now share with you the "comfort food" we had! First one up was the Sub-atomic Bacon & Cheese which was indeed comforting with its cheesy goodness, despite it being not being so special. However, I found it a bit pricey and not that "sulit" due to the small serving. 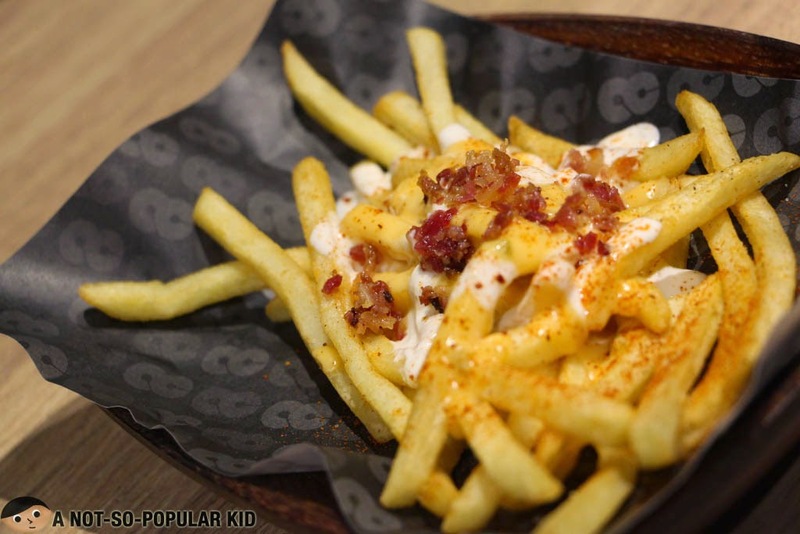 Note: The reason why this is this priced P115 is P45 for the French Fries and P70 for pimping it up to Sub Atomic! 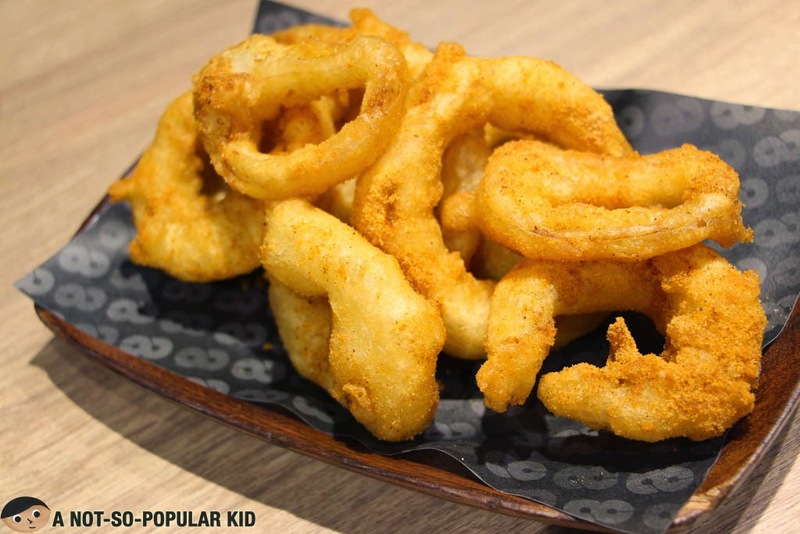 Although the onion rings here in 8 Cuts (as well as in Burger Bar) includes an artificial barbecue flavoring, I found them really interesting and good. Plus the batter was really crispy! On the other hand, these onion rings got me into thinking: Why didn't they look much like rings?. Two of my friends ordered this one up, and I wasn't able to ask for a slice/bite, since I simply forgot. However, I was able to note the lack of creativity in the presentation of the burger, and I guess this goes for most of the burgers. 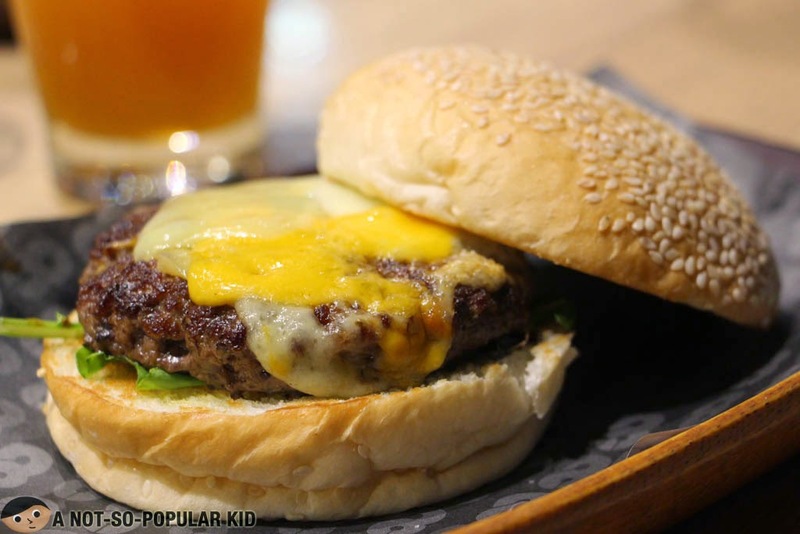 My two other friends had this Classic Burger, and the main difference between this and the Cheeseburger is that the latter has some lettuce, tomatoes and of course cheese. Again, I wasn't impressed by how the burger was presented. It didn't seem worth the P145 based on the photo. However, on the contrary, the taste was fine according to my friends. 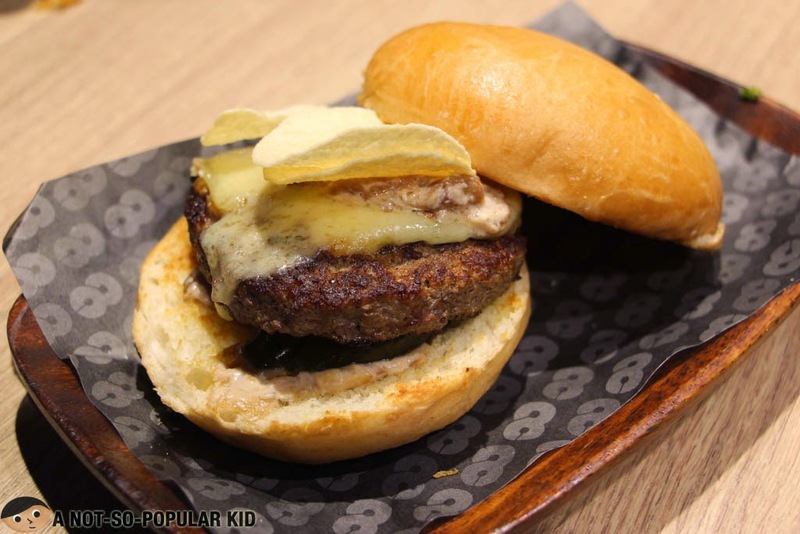 The Franch - interesting Specialty Burger of 8 Cuts! Alright! This is the burger that I chose - the Franch, and I hate repeating myself but I was't able to appreciate how the burger looked like! In fact, I won't deny that the not-so-great presentation negatively affected my perceived taste of the burger. Even so, I would say that this was an interesting Specialty Burger due to its exquisite blend of flavors highlighted by a crunch! Also, I admired the premium quality of the patty, as well as its overall uniqueness (i.e. inclusion of a potato chip in it). Note: If this was presented beautifully, it could have been so much better! 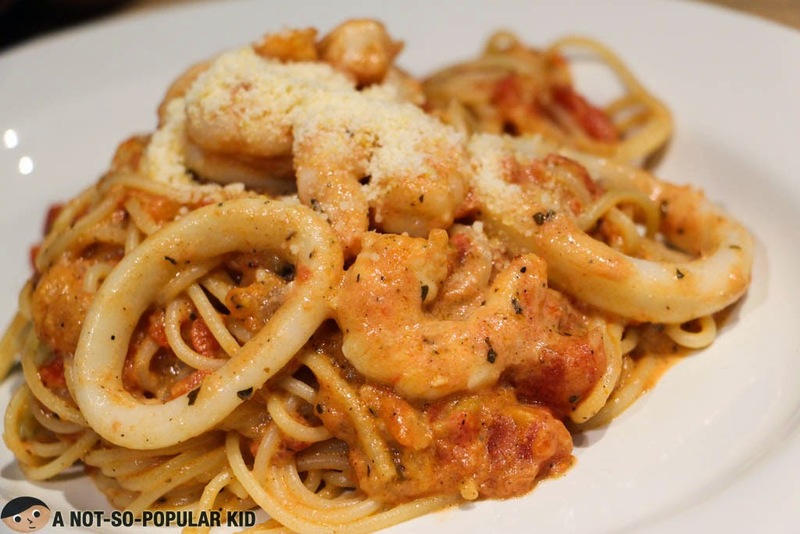 Seafood Pasta of 8 Cuts Burger Blends! Hmmmm, I'm not giving out an opinion about the taste of this pasta, since I didn't get the chance to indulge much on it. However, I what I can say is that it had a decent amount of seafood (i.e. shrimps and squid)! And judging the photo, it seems very much appetizing to eat! There you go! 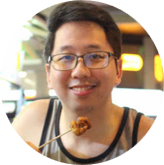 I hope you found this blog post interesting, but before we head on to the summary, let me share this photo of us there in 8 Cuts! 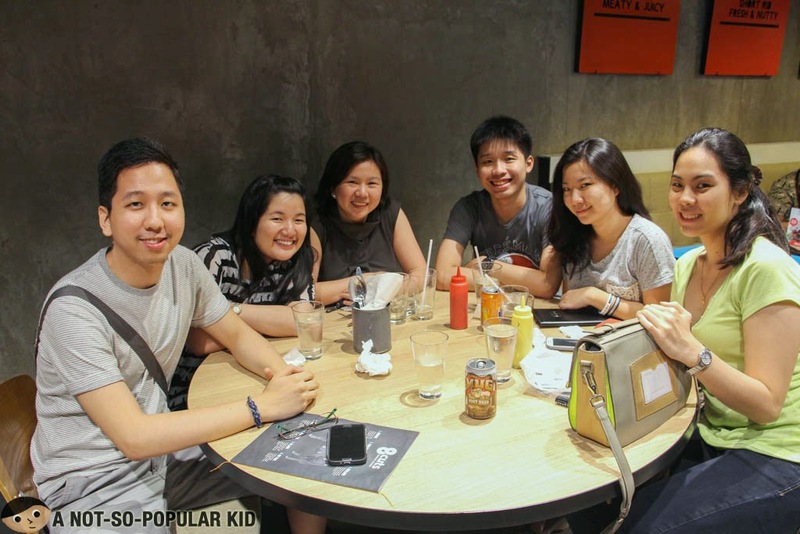 A Not-So-Popular Kid (me) with his high school friends! Do you recommend 8 Cuts Burger Blends? Although I am not much of a burger person, I was able to appreciate the quality and taste of the burgers here in 8 Cuts. However, what took away some of the points was the lack of creativity in the presentation of each burger. Also, the price may sometimes seem a little high, but again, this may have something to do with how they present the dishes. Taking that aside, I believe 8 Cuts is a good place for some great conversations with awesome people!